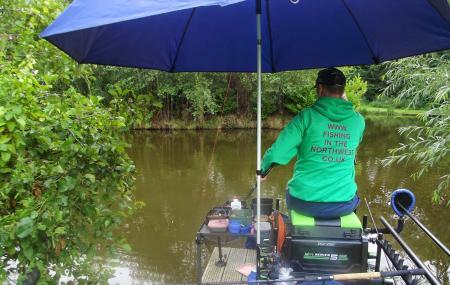 Lloyds Meadow Fishery is one of the best fishing venues in whole of Chester. The 9 acre day ticket fishing venue is very famous among tourists and locals alike. The fishes include Rucians, Roach, Rudd, Perch, Bream, Ide and Tench. The place has a perfect recipe for a family activity which you can enjoy with your loved ones. So take out a day and enjoy this different yet fun experience and make some fishing memories. Do not feed the fish without permission. For further details ask the authorities about rules and regulations. Concession price is 5 British pounds. Extra Rod 2 British pounds. Evening tickets from 5 British pounds. Timings may differ and hence can be known best locally. How popular is Lloyds Meadow Fishery? People normally club together J F Polo Academy and Chester Zoo while planning their visit to Lloyds Meadow Fishery. Lovely little collection of waters. Good advice offered regarding the one I was fishing. Fantastically well manicured venue, lots of parking and easy access! i went here today having not been for a while. The fishery looks brilliant Dan is doing a great job. Fished on Badger lake peg as i have done in the past & caught around 300 lb in 7 hours. All the fish were in A1 condition from Crucian Carp to the very large Mirrors & commons. How all the Stocky carp have grown since y last visit. A credit to Dan's management. I will be going back very soon.